TCM's restoration of Houdini's The Grim Game will screen at the historic Castro Theater in San Fransisco on December 5, 2015. The film is part of "A Day of Silents" hosted by the San Fransisco Silent Film Festival. The Grim Game will screen at 3:00 PM and feature live musical accompaniment by Donald Sosin. Producer Rick Schmidlin will be on hand to introduce the film. You can buy an individual ticket to The Grim Game or a full day pass to "A Day of Silents" at the San Fransisco Silent Film Festival website. 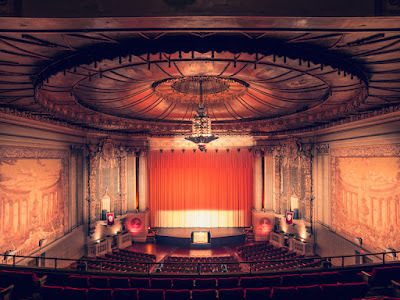 The Castro Theatre was built in 1922 and is one of the few remaining movie palaces from the 1920s still in operation. Maybe you could move tea time or bring the family along to see Houdini! Ha! I was wondering what Houdini himself would have thought of the dilemma. His relationships with his family seem complicated.